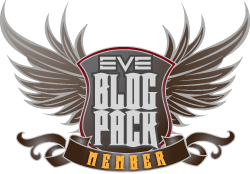 The following is a guest post exclusive from CCP Headfirst. “First wing, follow me in!” Jenlura would know the voice of her taskforce leader anywhere, from across a crowded mess hall or through the confusion of a communications channel during a hectic battle. It was one of the latter cases when she heard Commander Renseel issuing orders to the rest of his group, which included her. She brought her Rupture-class cruiser in alignment with his and began the reloading cycle on her heavy missile launchers. The battle raged in every direction; anywhere one looked out into space, there were Sansha ships, large and small. They flew in formations when not engaged and clouded around individual targets when the hive mind that controlled them chose the next victim. With most of the Republic Fleet taskforce destroyed, Lieutenant Jenlura Taron knew she was one of the few pilots left with a functioning ship. With a thought, she informed Commander Renseel that she was ready. “This isn’t going to be easy, Lieutenant,” he stated in a private communication, which was rare for him to do during battle. “Sir?” Before she could continue, Jenlura’s scanner chirped to life with additional contacts. The data streaming in through her neural interface told her what she already knew; he was outnumbered and wouldn’t be able to do much good against the oncoming wave before his ship was destroyed. Just as Jenlura was about to open a new private channel and ask if he needed any assistance, he reopened his channel to her. A cold shiver ran up her spine, but she hoped for the most reasonable explanation. “You’re retiring?” The pause before his next response was intolerable, so much so that she missed a few opportunities to cycle ammunition more efficiently while firing on the Sansha super carrier. “What? Commander Renseel, confirm: You have no active clones?” It was too much for her; she turned so sharply that she almost scraped across the super carrier’s hull as she changed direction to close the distance to him. “Commander?” Her afterburner ignited, which drew her ship’s contrail out into a bright red ribbon through space. “It was Abudban, that’s where I’m from, remember?” He was losing control of most of his ship’s functions; Jenlura could see burning fragments of the Hurricane’s hull leaving a glittering wake behind it. “Yes, I remember you mentioned your family to me once,” she tried to focus on locking the targets that were still firing on him, but there were so many that she ended up just shooting at whatever Sansha ship came into range first. “Don’t do this, Commander. Warp out now!” His ship showed no signs of altering course; its functional auto cannons continued firing as the ship began to list without engine power. “Sir, I-“ was all she managed to get out before her scanner erupted with activity. A second wave of Nightmare-class battleships had just appeared on the outskirts of the field, bringing their total numbers well above what the Minmatar taskforce was equipped to deal with. She knew she didn’t have long and that Renseel had even less time before what remained of his ship was destroyed. “Tell me you’re ready for this, Jenlura. Tell me you’re ready to do everything you can to stop the Sansha.” It was difficult to hear him with all the static caused by laser weapons carving his ship into pieces. “Thank you.” A sudden flash of light indicated that his reactor had gone critical, exploding in a violent burst of nuclear energy. The private channel went silent, save for the low background hum of ambient interference. She watched the spot where his ship had been until the very last of the glowing debris burnt out and vanished among the other wreckage of the battlefield. Jenlura had never watched a capsuleer truly die. She didn’t even react when the Sansha fleet selected her as its next target, disintegrating her ship around her. The next thing she knew, the slimy green fluid of the reconstitution tube was draining down past her face and a technician was helping her step out onto the medical bay’s icy floor on her new clone’s untested legs. She hadn’t even had a chance to put on clothes or dry off when an impatient looking Brutor tribe representative marched up and tossed her a data chip with new orders and commission insignia, which bore the rank of taskforce wing commander. “Sir, shields are down to seventy-three percent from that constant barrage of laser fire. If we don’t get help soon, outer defenses will be down within the hour.” The bridge of the starbase was alive with activity, with personnel racing in all directions and display screens flashing image after image of menacing looking Sansha’s Nation ships attacking from all angles. “Why the hell would-“ the sergeant began, but cut himself off when he realized no one would be able to answer his question and he probably didn’t want them to anyway. After wiping one hand across his sweating forehead, he buttoned up the collar of his uniform and stomped over to the lift entrance. “Sir?” The traffic officer sounded like he was about to panic. Just before the doors closed behind him, DuVemm answered, “Just keep cycling the shield hardeners as the primary capacitor allows and let the navy worry about the Sansha. I’ll deal with this visitor personally.” The rest of the bridge crew exchanged confused glances before ducking back into their tasks. The internal workings of the secure portal took a few seconds to unlock, but then the thick metal door swung inward on noiseless hinges, revealing an ostentatious, almost gaudy apartment beyond. Gallente hospitality was famous throughout the cluster, and for good reason. Plush white carpeting covered the entire floor of the split-level apartment, while thickly-padded couches rested against each opposing wall and an angular chandelier made from electrified plasma crystals hung from the ceiling, bathing the room in a gently quivering aqua light. The far wall was dominated by a wide bay window that overlooked one of the station’s many private hangars, at the center of which the Ares-class interceptor hung motionless. After the door had closed, Arete reached down slowly and retrieved a curved glass from the end table adjacent to the couch. She brought it up to her mouth, just close enough for the strong, sweet alcohol inside to numb her lips, but didn’t take a sip. As another subtle vibration passed through her room, she set the glass back down again. Odanar could hear his pulse in his ears despite the fact that all of his senses were being overridden by the capsule’s sensor system. Maybe it was just his imagination, some kind of muscle memory, but he twitched in the inertial fluid slightly as he tried to keep his attention on the stargate hanging in space nearby, only a few kilometers from his Merlin-class starship. The rest of his alliance’s strike force twinkled in reflected starlight all around, almost fifty ships in all, most of them much larger than his little frigate. A single word from their fleet commander and every ship would simultaneously activate the gate, instantly leaping light years through deep space and arriving at the neighboring star system, where recon vessels had already told them an enemy fleet was waiting. It was war in the lawless periphery, grand strategy and clever surveillance culminating in a savage, chaotic battle involving hundreds of ships. Almost everyone was calm and professional except for Odanar Honuken, who had only joined the alliance a week before. His lack of higher skills and enthusiasm for battle had resulted in an obvious assignment: tackling. Chasing down and warp scrambling enemies required daring pilots in small, fast, and most importantly, cheap ships, as they were not expected to last long. It was a role he didn’t mind at all; volunteering for dangerous, dirty, and inglorious work was the best way for him to impress his superiors and earn a higher rank in the corporation. His mind had just started to wander when an authoritative voice broke through on the fleet channel. For a fraction of eternity, Odanar’s consciousness was split between two gravitational wells several light years apart, then the peaceful, empty void on one end was suddenly replaced with the mass melee of lasers, missiles, and violent explosions in all directions. A moment later, just after his frigate rematerialized near the destination stargate, his afterburners were blasting out a wake of ionized exhaust, propelling the Merlin to over a thousand meters per second. The augmented reality overlay provided by the implants in his head, which were connected to the starship’s gravimetric sensor array, were receiving information directly from his squadron leader, a seasoned veteran herself. She had already lined up his first target, a Thorax-class cruiser escorted by a cloud of vicious drones. Odanar locked his targeting systems onto the larger ship and careened into an orbital pattern, careful to maintain a speed beyond what the cruiser’s turrets could effectively track. When his stasis webifier and warp scrambler were activated and had his target effectively immobilized, he let his squadron leader know. “He’s all locked up, let him have it!” Before he had even finished the statement, dozens of brilliant golden laser beams lanced through the darkness and cut the Thorax clean in half, after which it was enveloped in a brilliant azure explosion. Odanar cheered vocally over the communications channel for a few seconds before he realized that no one else was celebrating. When he turned his attention to see what was happening, his heart leapt into his throat. A steady stream of ships were emerging from the stargate, many more than his alliance had fielded for the battle. What concerned him most, though, was that all of the ships looked more or less alike: bulbous, spiked, rust-colored vessels covered in laser turrets. It wasn’t another alliance or any local faction; it was Sansha’s Nation. The communications channel was a nearly incoherent jumble of panicked shouting. When over a dozen frigates, several cruisers, and even a few Sansha battleships all locked onto his Merlin, Odanar knew his shields wouldn’t last long against their onslaught of electromagnetic laser weapons. He overheated his afterburners and hoped speed would keep him around long enough to be of some use, but the sheer amount of firepower coming from the Sansha fleet carved him and the rest of his allies into smoldering wrecks in just a few agonizing minutes. Few escaped back through the stargate, and from what he heard over the neocom, they didn’t last long against the even greater Sansha force on the other side. Odanar’s capsule drifted amid the shattered remains of two fleets, his and the one his alliance had come to conquer. When the last of the fires had dissipated into the vacuum of space, the Sansha invaders reorganized themselves with uncanny precision, forming into eerily symmetrical ranks and warping en masse towards the nearest planet. 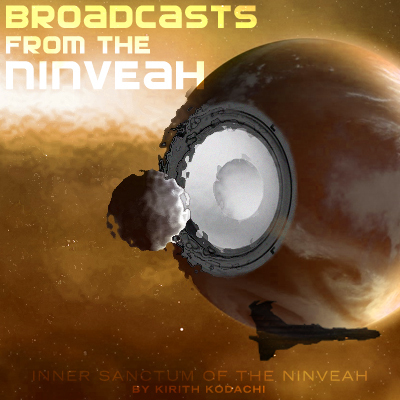 Odanar watched them go and, while local channels overflowed with emergency broadcasts and desperate calls for information, all he could do was watch and wait. “For the record, would you please state your name, sir?” Although he was a tiny man by any standards, the court administrator’s voice echoed around the spacious chamber with authority. He stood at rigid attention behind the ornate wooden podium, reading lines from his prompter without looking up. The administrator raised his head slightly, just enough to peer at the defendant from over the podium. “Formerly,” he corrected. Aerkon turned his head away and did not respond. “The Kador defense fleet has been redeployed, so obviously none of those pilots will be available for your defense.” He tapped a few times at his display and smirked. “I highly doubt anything they say would aid you, anyway.” Another murmur from the crowd spread like a wave through the chamber. Cries of anger and despair rose behind him as Aerkon’s jaws clenched. Shouting above the commotion, the judge struggled to be heard, “Order! There will be order in this hearing at once!” When it was clear that none of the high ranking people there would obey him, he continued to yell his lines, “Pilot Verriam, these are your crimes; how do you plead?” Abrupt silence cut off all conversation in the room, with a collective breath taken in to hear the defendant’s response. “Yes, it is simple mathematics. You are responsible for the deaths of over three million Amarr citizens on Uanim Four and close to eight trillion credits worth of registered slaves and other property!” In a moment of zeal, the administrator had reached out over the front edge of his podium, looking as though he was about to crawl over it to get at the defendant’s throat. “You’re in no position to be asking questions, Pilot,” the administrator retorted sharply. “You have claimed innocence of the charges levied against you. What is your defense?” He looked as though he was about to begin spitting his questions instead of enunciating them. “Do you know what the Sansha do to abductees?” Before the judge or anyone else could cut him off, Aerkon tossed the ceremonial restraint cord off to the side like he was waving away a bothersome insect, drawing a shocked collective gasp from the crowd. The administrator’s face paled and he took reflexive step backwards, reacting as though he expected the accused man to dash across the room and physically accost him. His voice thundering above the ambient noise, Aerkon refused to be suppressed, “What you don’t understand, you miserable cur, is that those three million people only had two options: a quick, honorable death or a lifetime of tormented servitude as true slaves in Sansha’s Nation, servants to their twisted master. I’ve committed no crime against this Empire. Indeed, what I’ve done is struck a grievous blow against our most dangerous enemy.” He turned to face the crowd, completely ignoring the administrator, who was virtually frothing at the mouth with rage by that point. “The Sansha are a threat few of you yet comprehend. You haven’t seen the desperate battles, watched them swarm out of targeted wormholes using a technology beyond anything we possess. Their numbers are often so great that the silhouettes of their hulls block the local sun. They disintegrate our sturdiest ships in moments under concentrated laser fire. The worst part, however, is when they break through our lines and get to the surface of each terrestrial world.” He walked slowly as he spoke, stopping to rest his hands on the railing at the back of the stage so he could project to the entire crowd. “Every human being they take eventually returns at the helm of a capsuleer vessel. The Sansha are turning ordinary citizens into capsuleers in a matter of hours.” He surveyed the room from side to side, glaring at the startled faces staring back at him in horror. “Every battle costs us lives and resources, yet their armada grows each time. The administrator slammed his holy symbol down on the podium and shrieked at the top of his lungs. “I’ve heard quite enough! 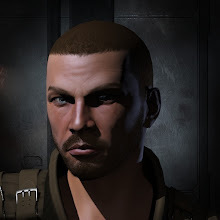 Pilot Verriam, for your crimes against the Amarr Empire, I hereby sentence you to death by public execution!” The gathered spectators went wild, spouting insults as they cheered in favor of the verdict. Aerkon bowed his head and folded his hands in front of him; in the commotion, no one could hear him whisper a brief prayer. “Belay that ruling,” a powerful female voice ordered, echoing throughout the chamber from the main entrance before the tall, solid wood doors had even opened all the way. Elite foot soldiers, clad in thick body armor and carrying pulse laser carbines, rushed in to take up positions all the way down the main aisle of the auditorium. Striding in confidently as they did so, her flowing golden robes spreading out behind her, was a young, auburn-haired woman of staggering beauty. The entire room immediately fell silent. It was the Empress. The cylinder had barely cleared of its previous occupant and was still clouded with scalding hot residual smoke when the breech shot back open. A belt of reinforced, flexible carbon fibers pulled from left to right, yanking the hollow shell out of the way so that the next round could slam into place, where it was immediately secured by a locking collar at the front and back of the chamber. A fraction of a heartbeat after it had settled in, though, the back of the cylinder segmented near its center, sending a solid piston of polished steel slamming into the back of the round. The force of the impact, along with the crackling spark it caused upon touching the bullet, ignited the explosive gel contained inside. As each molecule of the heavy composite paste overheated, the atoms within shed their higher level electrons, which in turn heated up their neighboring particles, and so on in a chain reaction. As the available space in the shell rapidly filled with a blistering inferno of hot gas, ripples of tension reverberated down the outer casing of the bullet, causing it to expand the last few millimeters between it and the cylinder’s wall. When there was no more room, the expansion could only press forward, where the only thing standing between it and the welcoming vacuum of space was a titanium sabot projectile. Riding the wave of violent energy, the sabot shot down the spiral carved barrel, inheriting the spin that would set it straight on course with a stable centrifugal rotation. Each groove of rifling in the shaft let a small portion of the searing gas slip through as well, ensuring that the bullet was preceded by a brief shimmer of muzzle flash, nanoseconds before the round itself emerged into space. As it left the weapon’s interior structure and passed beyond the rim of the barrel, the sabot shell split into several pieces that tumbled outwards in an even pattern while titanium canister round streaked silently through the darkness. It followed an identical bullet and a faction of a second later, it would be chased by another through the engine exhaust, dissipated explosive material, and twisted fragments of destroyed ships. The bullet remained on course for the duration of its flight, speeding unimpeded through the void, lacking any gravity or atmosphere to slow its trajectory. Minmatar ships all around moved in slow motion, their piecemeal hulls looking even more fragile than usual without the speed that kept them out of harm’s way. Compared to them, however, the Sansha’s Nation vessels lingered in space as though sitting perfectly still, their spiked frames arrayed around the battlefield like brambles in a treacherous patch of forest undergrowth. One such ship was steadily growing in size, getting closer and closer until the individual panels of its armored surface came into clear focus. Dents and cracks were already forming from where the bullet’s predecessors had scored hits, so by the time it arrived, the tile it connected with was already compromised. Piercing straight through, it sent chunks of tritanium in every direction as it bored deep into the substructure. After penetrating almost a meter deep into the starship, the warhead’s internal sensor, a simple pressure gauge device, detected the sudden drop and subsequent boost in kinetic energy after clearing the outer bulkhead. A sensitive hermetic membrane tore apart, allowing two violently incompatible fluids to swirl together, which caused them to produce a rapid buildup of thermic pressure. The central recess that housed the liquid fuel pressed against an outer shell made from titanium fletchettes suspended in a breakaway foam cast. Just as the tritanium slug had accumulated enough friction to overheat and transition into a liquid state, the chemical admixture burst outwards, releasing the fletchettes in every direction. They lanced through every nearby structure, ricocheted off of solid bulkheads, and shredded any crewmember unfortunate enough to be with its blast radius. The destruction and mutilation it caused were just a fraction of what the full burst of fire from Jenlura Taron’s autocannon unleashed against the Sansha’s Nation fleet. “Miss Benset,” the customs officer began dryly from the doorway, as though he had issued the statement that followed a hundred times already that day, “we’re ready for you now.” The soldier standing next to her moved to reach for her arm, but stopped abruptly when Arete shot him a spiteful glare. He decided to gesture towards the door instead, thankful that the capsuleer humored him and walked in without further protest. “How long is this going to take?” She glided around to sit in one of the two chairs at the room’s single desk, folding her hands in her lap. Before he could respond, however, she explained, “I have other matters which require my attention.” She hoped neglecting to use his title during their conversation would be obvious. “What’s still confusing you? You have my cargo and I’ve paid all of your fines. Why am I still here?” Arete examined her fingernails. “And?” She actually looked up at him but her expression remained neutral. “As you might have guessed, my employers often require me to make unscheduled, undocumented, and unmapped stops.” She reached out and gently placed one of her hands on the table; the second it detected a biometric signature that wasn’t on the list of approved station personnel, the holographic display winked out of existence. Arete rolled her eyes and turned her head to the side. “I’m not sure I follow you.” Her mind drifted, or at least she tried to express that her mind was wandering away from the topic at hand. Arete rose and moved to the door, but he stopped her with a word. She glanced over her shoulder at him, but didn’t say anything. Her face was a perfect mask of calm concealment. Arete touched the door activation panel, but before she walked out of the room, she repeated herself one last time. “I cannot confirm those suspicions.” After that, she was gone. It suddenly struck Odanar that he had never actually just listened to his ship sitting motionless in space. As far as he knew, his engines were always on full power, and for most of that time, his afterburners were lit up and overheated as well, which caused the hull of the little ship to vibrate so wildly that he could hear it through the shell of his capsule. Of course, there was also the fact that he was usually at the center of a furious battle and moments away from his ship disintegrating into burning fragments at any point in time. “First interceptor squadron standby,” his new fleet commander whispered, unconsciously lowering her voice as their gang stat motionless just over a hundred kilometers from the stargate. Odanar took a moment to double check his new weapon systems, which included three rocket launcher bays and an energy draining module he still wasn’t exactly certain how to properly use. Nevertheless, he was quite excited to test his new Crow-class interceptor in combat. It wasn’t long after he had informed his corporation’s management about his new skillset that they gave him access to the well-stocked hangar at their headquarters and told him to take anything he wanted. The moment he had laid eyes on the glistening onyx hull of the Crow, though, he had fallen in love, and that was before he had even gotten it up beyond 4,000 kilometers per second for the first time. Each of the wing commanders acknowledged with a brief response. Right on cue the stargate came to life with a brilliant white glow flaring out in all directions as it received bundle of disorganized matter, then bent the laws of physics around space and time to reassemble it again into a fleet of hostile ships – a fleet of hostile Sansha’s Nation ships. For what felt like an eternity to the court administrator and the defendant, the room was filled only with the sound of elegant clothes rustling as the hundreds of spectators lowered to their knees. Empress Jamyl Sarum marched forward down the aisle towards the podium, two of her guards following behind at a respectable yet protective distance. When she reached the center of the main floor, she stopped and pivoted to face the administrator, who cowered behind the podium as though he could avoid her notice. “You are dismissed,” she said flatly, turning towards the crowd. The Empress’ eyes narrowed ever so slightly. Behind her, the administrator froze, his hands curling into fists. His jaws clenched shut and he began to sweat profusely. Darting back and forth, his eyes broadcast an uncontrollable panic as he stumbled backwards away from the podium. When at last she pivoted around to glare at him, a gesture more powerful than the full broadside of any Amarr battleship’s laser cannons, he had already turned and bolted from the room in a desperate sprint. Aerkon regained his feet and assumed a posture of rigid attention. “Yes, your majesty.” He averted his gaze out of respect, staring instead at the floor just in front of her. How in the hell did you manage this exclusive? That was fantastic!!! Thoroughly enjoyed reading that :) We need moar Eve Online books, I've already read the only 2. Empress Jamyl is easily the most badass person in New Eden. I think I might be slightly in love. Never knew you wrote such epic fiction. Should ask CCP to let this be a chronicle. Jealous of the exclusive! But well-written and entertaining. Moar fiction!